This is our back staircase. These steps lead only to our home gym over the garage. I want to do some thing really fun with them. stencil roman numerals on each step. We couldn’t find any nice looking templates. I decided to hold off. 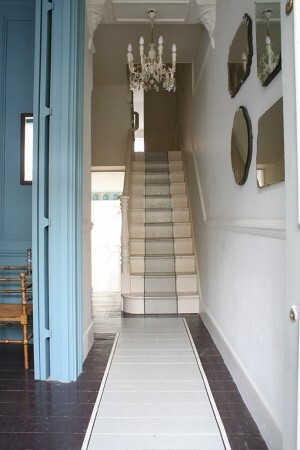 I have been collecting images of beautiful painted stairs. I have narrowed it down to these six images. I love the numbers! My steps are painted-one black, one white, one black…etc. Whatever you decide, be sure to show us! the last one. But I'd do it in blue, as blue is my favorite color!! now, how are we gonna choose? All good…I'd say 2, 4 and 5, but that doesn't narrow it down too much, does it? I love the last one! I also like the numbers too it's hard to pick but I really do love the last one! My vote would be a combination of the first and last images! I love all of these painted/stained "runners." Since your treads are stained and the risers painted, I would just leave as is and stencil on the numbers. You could paint the riser a pretty soft blue like in image 5. Dear, they are all gorgeous, but no. 3 would be my favourite. I like 4 the best, followed by 6. But for 6, I would choose a different color, especially if you are keeping the steps stained. I just think that with little natural light, the color might look darker and a bit "muddy" for lack of a better word. I am kind of loving the bold. Oh, and I am completely jealous that you have a home gym. I like the 3rd one, but it would be difficult to do because you'd have to strip and refinish your risers. I love the last one, the pop of color is awesome and so unexpected! And I like 1 & 2, also. They are essentially really similar, only 3! has numbers on it! So if you were unsure about the numbers you could always do #2 and add on later! oooh, I love # 6 ! I like 1 and 6- which are totally different! That rope hand rail is so cute. Love #6. I'm really into orange lately. Do the numbers! Either one! I am crazy for the numbered stairs, we don't have any stairs otherwise I would have already done it! Such a cool idea. They are all so nice, tough to decide! I was trying to find a picture to email you of my old house..I had stenciled the stairs to the pool with names of our favorite beaches and had an anchor on the last step under the word pool which was like an arrow pointing to the pool. It was really fun. 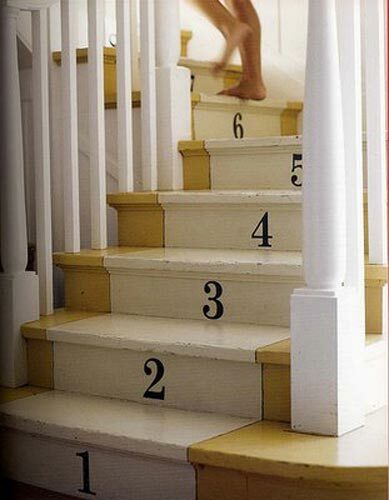 I think my favorites for your stairs would be #1 or #6. Post a picture when they are done, I'd love to see the final result! They are all great you really can't go wrong with any of them. I really like the numbers though! How fun…good luck with it. Can't wait to see the finished product! 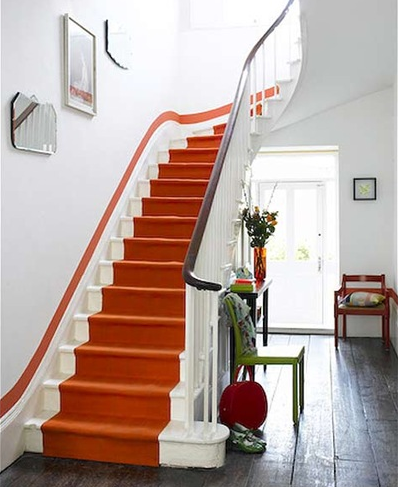 I love a combination of the two tone stairs and the numbers… use some nice and bright colors… have fun! going up to the gym?! i would definitely something bright and energizing — the orange is my favorite!! Oh and thanks so much for coming by & leaving such a nice comment regarding our bedroom makeover! I'm so glad it's done…we are really loving it! 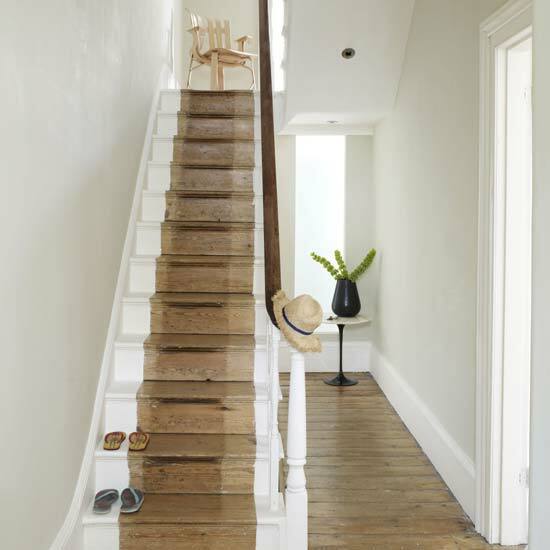 Good luck on your stair decision…btw, what kind of paint are you using? porch paint? love your blog & I'm following! I like 2, 4 and 5. I that doesn't narrow itdown much! Sorry! I love color so I vote for 5 or 6. Can't wait to see what you do!!! i love no. 6… a bold and wide splash of color! orange wouldn't be my first choice though — how about your favorite shade of blue? i can't wait to see how they turn out! I love #1 and #4. What a fun idea! Cannot wait to see what you do. #6 would be awesome! i think you should choose something invigorating…something that'll get you pumped before a workout! I'm torn between 3 & 5. How fun that you have stairs to paint!! Hi there. Thank you for the lovely comments. Yep, the blog is just a nice way to keep clients up to date, etc. Kinda fun. I love yours. You have such wonderful style. Hope you are having a lovely day. thanks for dropping by my blog… personally, i like numbers 2/5…i love how the middle color on the stairs matches the room…those two colors seem to be my neutral colors coz i love to either neutralize a room with pale brown, or splash a little color of light blue for accent….either way i am sure it will come out great with your taste…cant wait to see the finished look…enjoy decorating! they're all really great, yes? but my favorites are 4 & 5. For sure. 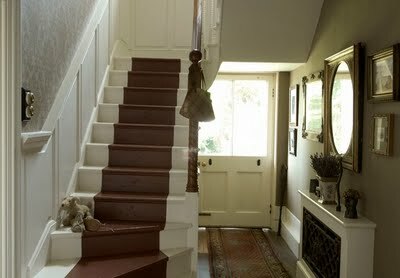 I also posted this photo of painted stairs a few months back. Not to make your life more difficult, but just another idea for your files! the first! great idea, can't wait to see it all finished-lunch next time you are in the city! i kinda really like the last 2…..
What a fun project! I love number 4. Can't wait to see the finished result! I love the numbers and the rope handrail and I also like the colour on the stairs…would it be too over the top to go with it all!! Sorry, I'm not much help I know! Just have fun with it is my advice. I like the last one best. The hall is narrow and dark so a bright color would energize the space and get you in the mood to work out! My fav is #1, except I would do a different style of number that has a bit more flourish. 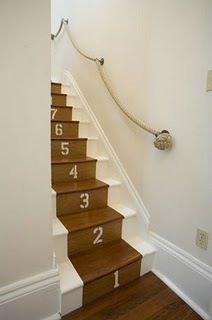 I especially like the number idea because these stairs lead to the gym. I like no. 4 and no. 5 – different styles but equally effective. I love the numbers.. it is fun, casual and perfect if it is the stairway to your gym .. after all that's what you do when you are working out! Count down till it's over! However, if you are feeling like you want a stylish and elegant entrance to your gym … something that will make you think about the gorgeous dinner you will have after the workout then go for no.5! Love the chandelier! I LOVE that you have a back staircase! Even if it only leads to the home gym. I'd vote for 2 or 5! But they are all quite lovely! Oh dear just what you need another opinion (smile). You have a list of some great ones. My choice is #4 I like the way it is painted- giving me a feel of a vintage gym for some reason. What a super idea! I like #4…..I can't wait to hear the results! Belated vote: the last one, number 6!! Zhush: I've loved that you loved my blog (picnic check-list), so here I am, taking a look at your blog. Talking about stairs, I really like their pictures, once they make me think all the time that life goes on step by step… Cheers! Sue: You have your own personal typesetters at your fingertips…just have your brother or dad show you some fonts, print out the roman numerals to size, and either cut it out of a thin piece of plastic to make a stencil or transfer it to the riser and hand paint it. I'm sure you can find material to cut a stencil at Michaels. Roman numerals would be so easy to cut or hand paint because the letterforms are straight lines (except for the part around the serif on some fonts). Be sure to post the end results!! hmmm, not a bad idea! What say you "personal typestters" up for a little diy or in this case, do it for me? I have never seen stairs like these but I really love the look! can't wait to see how you but a Zhush spin on it!